I took myself back to the Belconnen region this week for A Look Around Canberra and got lost on the way to Kaleen. Mainly because I thought I knew where it was without using a GPS, and partially because I couldn’t find the usual suburb signs that are on just about every corner. I found one eventually! Kaleen shares a border with Bruce, Lyneham, Giralang, and the new development of Lawson. It was gazetted on 15 January 1974. 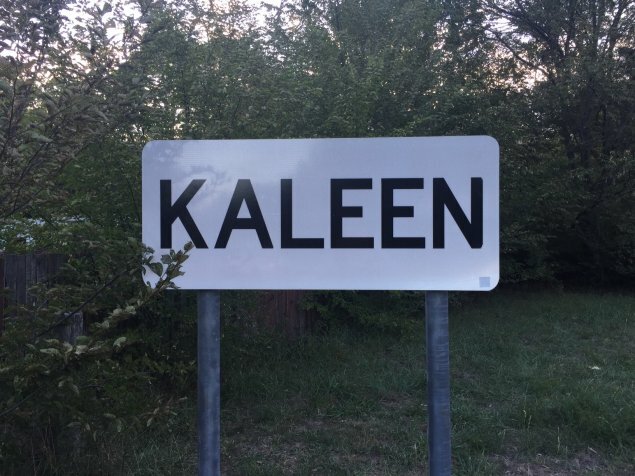 Kaleen is the first suburb I’ve profiled that doesn’t take its name from a person. Kaleen is from the language of the Wiradhuri tribe of the central-west of New South Wales, meaning ‘water’. The streets are named after Australian rivers. In past suburb profiles I’ve referred to some suburbs as leafy (Curtin and Kingston for example). Kaleen is leafy but in more of a ‘bush’ way. This is a good thing. I despise suburbs that have no trees and I love love love suburbs that are packed with them. Kaleen seems like a lovely neighbourhood, with a real community vibe to it. There are two ovals here, both of which were packed with local sports teams and kids of all ages. There are also two sets of shops in Kaleen, one with a Supabarn shopping centre. Three primary schools and one high school are situated here: Kaleen Primary, St Michael’s Primary, Maribyrnong Primary, and UC High School Kaleen. 94.2 per cent of dwellings are houses, 2 per cent are townhouses, and 3.7 per cent are apartments. I know that doesn’t add up to 100 per cent, but I’m just going off what the Census says! The median income for a family with children is around $153,000 per annum. Families without children sits at around $139,000. One thing I liked about Kaleen is that they had several playgrounds. I don’t have kids or any real use for a playground (though I do like swings), it’s just something nice to see in a community. What’s happened to the Kaleen Scribbler? I enjoyed his number counting at the shops. Good question! After seeing him every single day for years, just realised I haven’t seen him at all in the last 12 to 18 months! That guy was interesting to watch.. I haven’t seen him in about a year as I moved from the area. He used to get on my 30 bus at the middle Kaleen shops almost every morning and he’d stand outside the Convenience Store opposite Maccas in the bus interchange scribbling away most of the day. I’d occasionally try and understand what he was writing down when I was sitting behind him on the bus. Kaleen is pretty dodgy, in a word, and I’m a local! 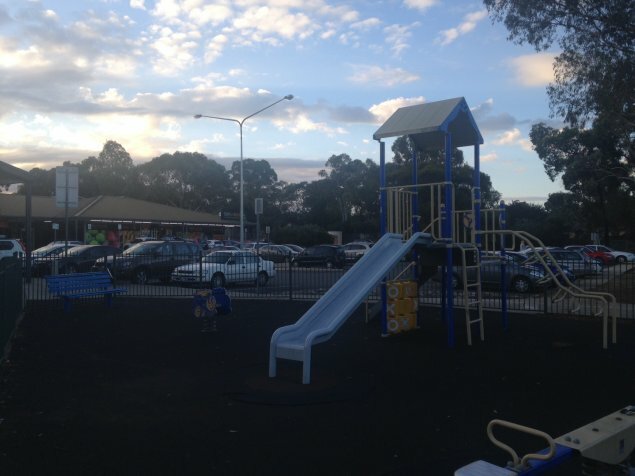 Although it will be interesting to see how things pan out in the next decade or so, with Lawson residents feeding into Kaleen schools (and Crace residents feeding into the adjacent Giralang primary school). The price tag on Lawson properties indicate that the primary schools will be utilized but the high school will not given its continual poor performance and bad reputation. Wealthier parents will not send there kids there. There are in fact 3 sets of shops – but in almost 10 years of living in the area, I’ve never had cause to visit the ones you left off the list – the Turkish takeaway and Kaleen Bar and Bistro (Maribyrnong Ave). The other two sets of shops are crying out *begging* for redevelopment. The main centre has a Supabarn, an excellent new butcher and a decent chemist – but is otherwise super grotty. Happy to be called a snob – but I could live there the rest of my life without ever setting foot in the mini Southern Cross Club or Kaleen Sports Club. They’re ugly, outdated, non-family friendly places. It’s a funny place Kaleen, two shopping centres where next door hasn’t got any, but another circular suburb where you can lose your bearings easily. If you ever find yourself again, it’s in a pretty good strategic location but flattish and no real views except from a few expensive streets. Wait till she gets round to Giralang street names; names of stars (as in galactic not movie).